New Land Release This Weekend! If you’ve been looking for affordable beachside land – here it is! 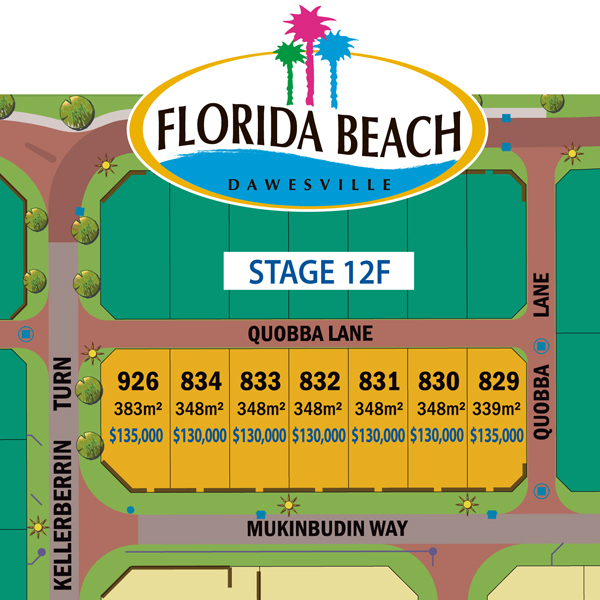 Florida Beach will be releasing Stage 12F this weekend and you won’t believe the value on offer. 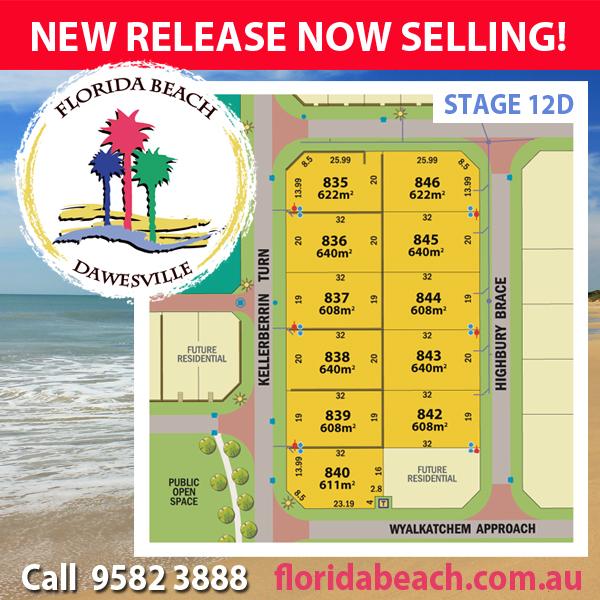 This new release of 7 exclusive homesites are walking distance to the beach, schools and new shopping centre site. The easycare lots range in size from 339sqm to 383sqm and start at a very low $130,000. The developers are also offering generous early building incentives which inlcude free side & rear colorbond fencing and a $2,700 landscaping allowance, naturally conditions apply. Florida Beach is fast becoming one of the most highly desirable areas to live in. Located on the ocean side of the road just south of Mandurah, the suburb offers its residents a relaxed beachy lifestyle along with incredible value for money. Within the estate are two quality primary schools – one public and the other private. A shopping centre site has recently been purchased by a major supermarket chain which will further enhance the livability of the area. There is also a surf lifesaving club, childcare centre and boat ramps located near by. Affordable land this close to the beach is getting hard to find so we are expecting this release to generate a lot of interest. The sale starts this Saturday 13th September and homesites will be sold on a first in, best dressed basis. 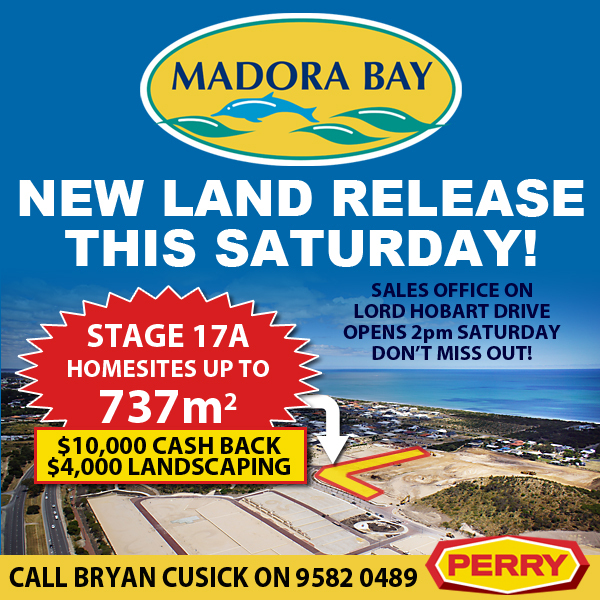 To make sure you get the block that you want, register your interest now by calling Bryan Cusick on 9582 3888, because when they’re gone – they’re gone!